An alliance of several progressive civic groups have met with the leadership of the main opposition party to protest disparaging remarks made by three of its members in regards to the 1980 Gwangju pro-democracy uprising. 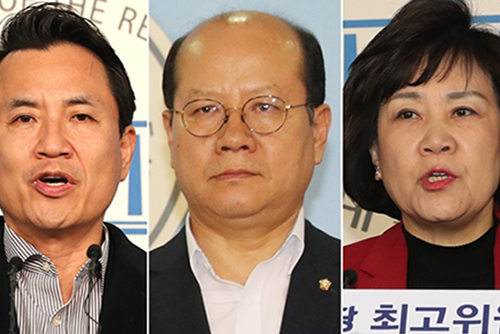 In a meeting Wednesday with the Liberty Korea Party’s emergency committee leader, Kim Byong-joon, they called on the party to expel representatives Kim Jin-tae, Lee Jong-myeong and Kim Soon-rye from the party and parliament. They also called for legislation to punish those who distort the historic event. The civic groups also demanded the LKP to reveal its stance on the allegations made by the three lawmakers during a forum last week that the North Korean military systematically incited the protesters in Gwangju in 1980. Kim said his party was not informed of the forum in advance, reiterating the remarks made by the three lawmakers do not reflect the party’s official stance.